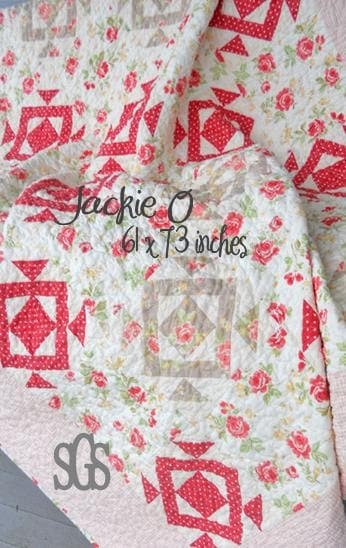 Jackie O uses Strawberry Fields by Fig Tree Quilts for moda fabrics and moda marble sweet off white. Jackie O was quilted by April Zimmer in a free-style, overlapping meander with white thread. This quilt is 61 x 73 inches and an intermediate level.